Numerous successful business owners have applied for unsecured loans. As a business owner, whether you are in the fast food industry or retail, you know the struggle of qualifying for business loans at banks. You may not have the necessary collateral. Without a loan, your business could meet its end. Business owners take out loans to pay for various necessities like equipment and new hires. Fortunately, you can still afford such necessities with an unsecured business loan. Read on to learn the best types of unsecured loans for businesses. Some types of unsecured loans for businesses, such as signature loans, are considered “term loans”. A term loan entails repayments over a specific time period. Like the time period, the payment amounts are predetermined. Thus, you can budget your company’s finances accordingly each month and ensure you make your payments on time. Once you have paid off your signature loan, your account is closed. 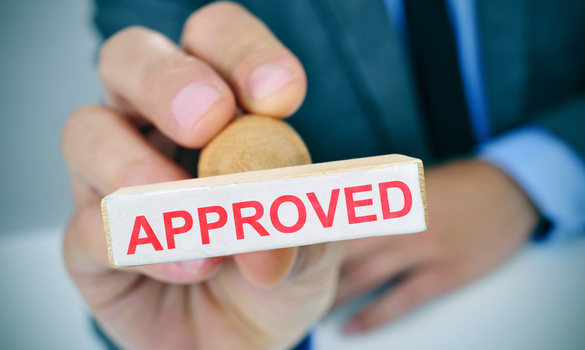 If you require another unsecured loan for your business, you have to reapply. Many business owners apply and also reapply for signature loans to pay off other debts. If you are not in debt, budget wisely to avoid falling into debt that can be detrimental to your business. Use signature unsecured loans wisely. Another popular type of unsecured loans for businesses is unsecured lines of credit. If you need cash on demand, this unsecured loan can advance your business ventures. Businesses need cash on demand under numerous circumstances. For instance, you could be dealing with an unexpected equipment shortage. Perhaps an employee damaged a crucial piece of equipment that you need fixed immediately. You could also be undergoing business moving issues that are time-sensitive. An unsecured line of credit can assist you in repairing the damaged machine. There are two types of lines of credit to choose from: traditional and non-traditional. Determine which benefits your business the most if you need an unsecured loan in a timely manner. A short-term unsecured business loan is also one of the best types of unsecured loans for businesses. Some lenders offer short-term unsecured business loans in the form of lines of credit. Such lenders offer better interest rates. Since unsecured loans typically require higher interest rates, you could benefit from short-term unsecured business loans. With this type of business loan, you can receive payment quickly and pay less in interest if you find the right lender. Understand that you will have a shorter amount of time to pay off what you borrow. If you believe that your company can budget wisely, consider short-term unsecured business loans. Recognize invoice financing as one of the best types of unsecured loans as well. This type of unsecured business loan bases funds off of unpaid invoices. You rely on the value of your unpaid invoices. The value determines the amount of funding you receive from your lender. Trucking business invoicing varies from online tech business invoicing. Understand how your invoicing will effect value. Since your customers’ invoices are considered collateral, they determine the security of the loan. However, some lenders have introduced a newer type of invoice financing unsecured loan that is not based off of unpaid invoices. Look into the different invoice financing options before dedicating yourself to a lender. Lastly, business owners like yourself also look to unsecured online business loans for funding. You may not have the time to seek out lenders on foot. After all, you do run a business. Rather than assume you have to make the time, consider how quickly you can apply online. Many online lenders approve business loans within the same day. You can refrain from taking time off of running your business and still receive the finances you need quickly. If you need funding fast in order to take advantage of a great business opportunity or solve a crucial company issue, look to unsecured online business loans. They are one of the best types of unsecured loans for busy business owners. You can expand your business opportunities with the best types of unsecured loans. Consider signature loans for predetermined terms and monthly payments. Unsecured lines of credit provide funding almost immediately. Some lenders offer short-term unsecured business loans with lower interest rates, which could benefit your company if you can repay the loan within the briefer term. Invoice financing is sometimes considered “self-securing” because your unpaid invoices are used as collateral. In addition, online business loans allow business owners to expedite the entire process of getting a loan. Now, you can prosper with the best types of unsecured loans for businesses.